Here I'm using the same color settings for both Illustrator and Photoshop and the same color for my shapes - #0441f0, but they look very different. Any ideas? From your screenshot, and going by the amount of dulling on the blue in AI, it looks like you have a mismatch between colour modes. I can see your PS document is in RGB mode, and although I can't tell for sure, it looks like your AI document is in CMYK mode. 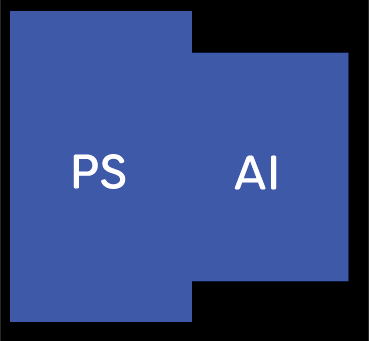 Make sure both PS and AI are in the same colour mode when you create the documents. In Illustrator set up your colour proofing to the following settings if in RGB mode. Proof Set Up: Internet Standard (sRGB). Proof Colours option enabled. In PS set up the same. Here's a screenshot showing two captures of two shapes filled with #0441f0 in RGB mode. Both documents are in RGB mode. 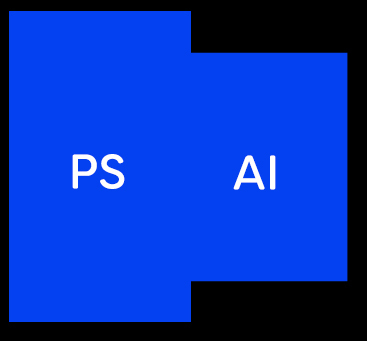 The colours displayed by PS and AI are identical. 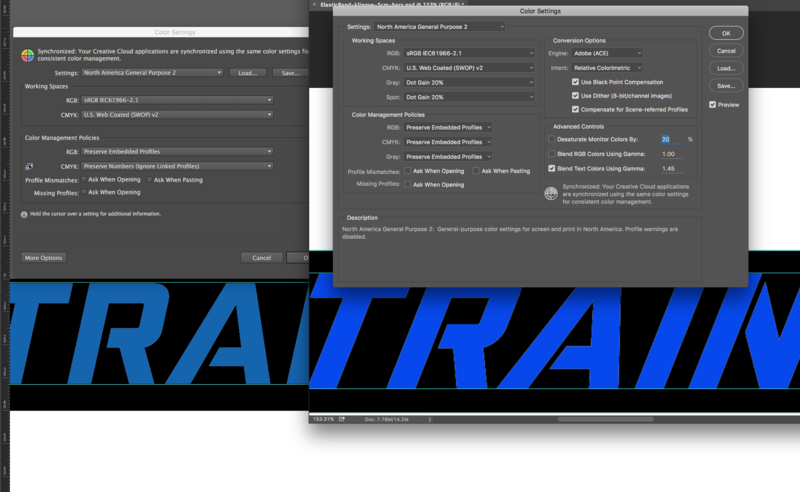 If instead you want to use CMYK mode ensure both PS and AI documents are in that mode. Set up the Proof Setup to Working CMYK, and Proof Colours enabled in both applications. Note that the colour will look very different in CMYK since the RGB colour you have chosen is out of gamut for CMYK printing. For comparison, here's the same in CMYK. Obviously this is a screenshot in RGB mode simulating CMYK. Not the answer you're looking for? Browse other questions tagged adobe-photoshop adobe-illustrator color-profile color-reproduction or ask your own question. Why is the hex color in my PNG different from the same hex code in browser?